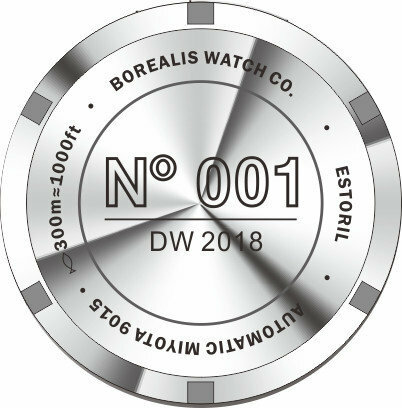 Borealis Watch Company in cooperation with Divers Watches Facebook Group, founded in 2011 and nowadays the largest watch group with over 38 000 members, is happy to announce the relaunch of an iconic series the Borealis Estoril. The Borealis Estoril is heavily inspired in classical military diver watches developed in the 1960s and built with 21st Century Technologies. 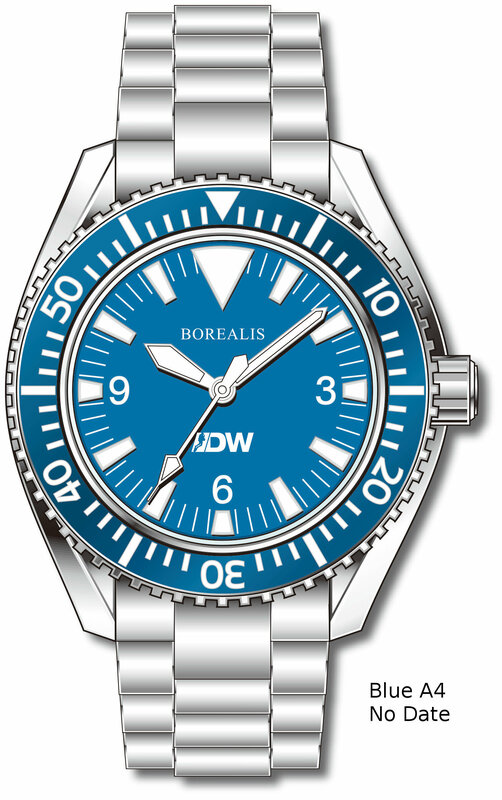 This special edition of the Borealis Estoril is a limited edition with a total of 300 pieces featuring two color options : black , blue, two versions : date, no date, two distinct lume compounds : super luminova white lume and superluminova Old Radium X1 making it a total of 16 possible combinations. The watch is powered by a Miyota 9015 automatic movement manufactured by Citizen Miyota in Japan has 24 jewels and beats at 28800 bph. 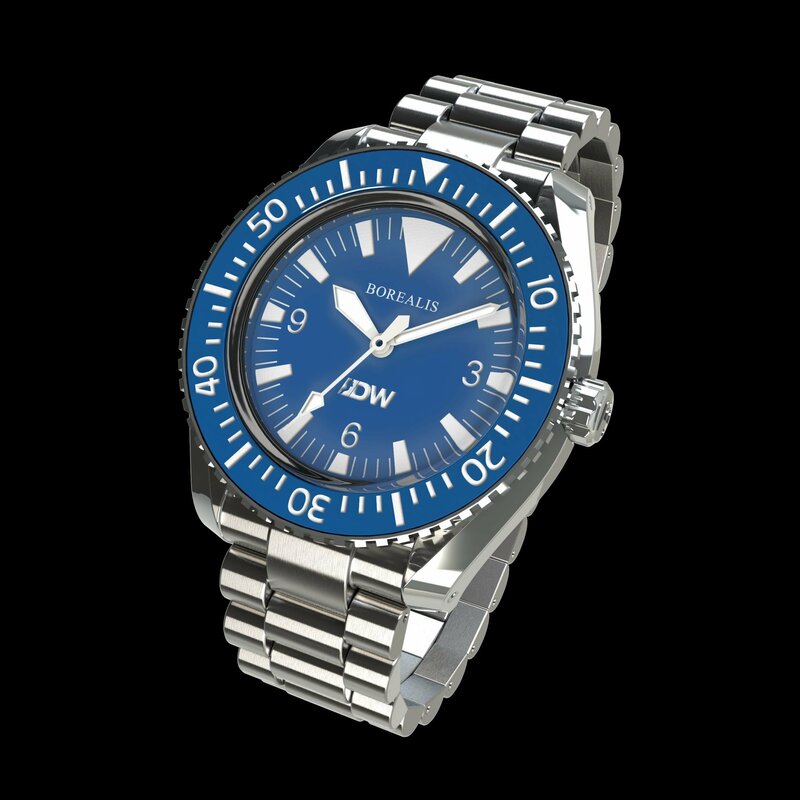 The remaining balance of $330.00 USD (VAT* to be added to European Union customers) + shipping is to be paid when watches are ready. Bonus: All pre-orders placed during November we will offer a free 20mm rubber strap in black or blue (according to variant pre-ordered). Notice: We are offering initially a set of 16 variants. Variants not pre-ordered during the first week of pre-order will be discontinued and removed from store. Serial numbers shipped at random.